The Russian Academy of Sciences, P.P. 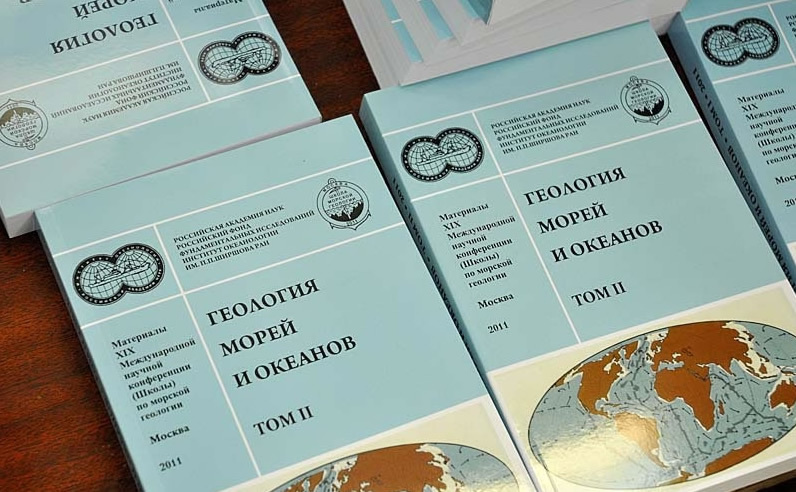 Shirshov Institute of Oceanology, the Russian Foundation for basic researches carry out a XXIII International Scientific conference (School) on marine geology from 18 to 22 of November 2019. Schools are carried out since 1974 and became a traditional forum of marine geologists from the different countries. Conferences give comprehensive facilities for newest scientific information interchange, coordination of scientific researches and international scientific cooperation, and also for young specialists training. Many plenary, section and poster reports are assumed at conference. Section will be devoted to problems of Arctic marine geology, nanotechnology, geophysics, ocean bottom tectonics, geoecology, biogeochemistry, paleooceanology, oil and minerals formation at the sea bottom. Academician Alexander P. Lisitzin is Chairman of the Organizing Committee. Dr. Vladimir P. Shevchenko is Chairman of Working Committee. Dr. Nadezhda V. Politova is Scientific Secretary of the Conference. he world-known scientists from different countries have been invited to present lectures at the Conference. Demonstration of scientific films, the exhibition of new research instruments and equipment and the sale of recently published books are included in the program of the Conference. A culture program for the participants will be prepared. The abstracts submitted by the participants will be published by the beginning of the meeting. Russian and English are the working languages of the Conference. You can find all information about conference on the website http://www.ocean.ru/ (Conferences and Schools) or http://geoschool.ocean.ru. The information on XXIII Conference will be on sites in spring of 2019. Conference will take place in the P.P. Shirshov Institute of Oceanology of the Russian Academy of Science to the address: 117997 Moscow, Nakhimovskiy prospect, 36. We are pleased to invite you to participate in the XXIII International Conference on Marine Geology. © All right reserved. Shirshov Institute of Oceanology 2011-2019.